Founded in 1983, OHPC is the oldest private clinic in Southern Indiana devoted to the management of chronic pain. The clinic has an impressive success rate. More than 1,000 new patients are referred to OHPC each year, and the majority of them experience decreased duration, frequency, or severity of headaches and pain, and decreased used of analgesics. We are an accredited pain facility by the American Academy of Pain Management and have just successfully been granted renewal until 2012. 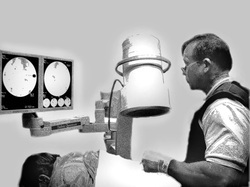 Dr. Oliver has also received Diplomat status by AAPM until 2012. Our clinic also has memberships in the American Medical Association, American Academy of Pain Medicine, American Academy of Family Physicians, American Back Society, American Headache Society, American Pain Society, American Society of Regional Anesthesia & Pain Medicine, Indiana State Medical Association and the National Headache Foundation. Diagnosis and treatment are done by a multi-disciplinary approach. We perform medial nerve blocks, medial nerve ablations, lumbar epidurals, trigger point injections and IV therapy. Opioid treatment is closely monitored with opioid agreements, drug screens and background checks.